Author: Campbell, Joseph & Slattery, D.
Proving that there is still more to learn from Joseph Campbell, this volume shares his personal letters vibrantly curated in a way that highlights not only Campbell's mastery of fields as diverse as anthropology, literature, depth psychology, religious studies, and of course comparative mythology but also his "hands-on" approach to experiencing, rather than simply studying, subjects such as Kundalini Yoga and Buddhism. 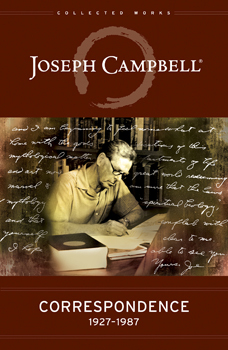 The editors arrange Campbell's personal writings to friends, colleagues, and fellow thinkers in a way that illuminates an intellectual point in time that continues to resonate in contemporary culture. Anyone who has ever been counseled to "follow your bliss," knows Campbell and will benefit from learning more about his thinking here.